The Secrets of Chatterbox Chicken Rice...And the German Chef Who Helped Put It On The Menu! Oh we all know Chatterbox chicken rice. Did you know it was a German chef who led the team that put this on the menu when Mandarin Singapore opened in 1971? 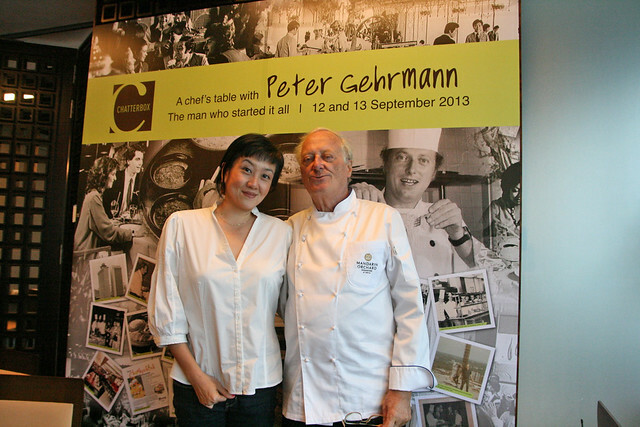 We had the great fortune of meeting Chef Peter Gehrmann, as the hotel tracked him down all the way from Hawaii where he enjoys giving classes. They brought him back to Singapore - he left in the 1970s, and hadn't been back since. He shared with us how the Mandarin chicken rice came about, and some of the little culinary secrets behind it.